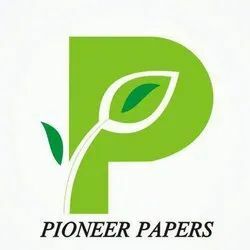 We “Pioneer Papers” have gained success in the market by manufacturing and trading a remarkable gamut of Self Adhesive Labels, Dot Matrix Papers, Paper Rolls, Colored A4 Papers, Thermal Paper Rolls, etc. 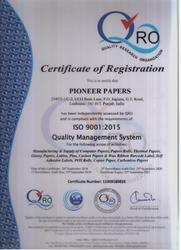 We are a well-known and reliable company that is incorporated in the year 2003 at Ludhiana (Punjab, India). Our offered products are manufactured in compliance with the pre-defined industry norms and tested to ensure their flawlessness. The company has set a strong foothold in the regions of India as they deliver 'A' Class Products with 'A' Class Packing. Our organization's sole aim is to achieve maximum client satisfaction and to ensure this; we have come up with a range of customized and personalized labels. We specialize in manufacturing our products as per the clients' specifications. Our custom made paper products give variety of options to our clients in terms of designs, size, shape, print, etc. We provide total customized solutions based on colors, size, and shape printed on them. Our entire business activities are backed by efficient team of professionals who make maximum utilization of the available resources in order to meet client's requirements on time. The supervision of “Mr. Surinder Pal Singh” (Marketing Manager) and have gained huge clientele. The profound knowledge and rich experience of the proprietor has assisted the company to acquire distinguished position amidst the office stationery products manufacturers in India. We are dealing in Export as well. We boast of a modernized manufacturing unit, which is facilitated with the latest machinery, equipment, and technology. We make use of the highest quality of paper conversion machinery. With the help of these facilities, we are able to meet the bulk requirements of our clients. We make sure that we upgrade our machinery from time to time, in order to ensure the smooth operation of the manufacturing process. We are also well backed by a team of highly skilled and competent workforce. Our team members have immense experience in their own respective fields, and work in close coordination with each other. Due to their continuous effort, we are able to manufacture the best quality products, regardless of the quantity.